After a few weeks of the usual strong South Easterly winds that hammer the coast of Cape Town we had a change of pace with the wind swinging to the opposite direction and a moderate 10-15 knots. 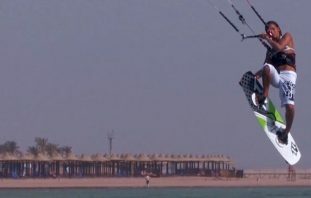 Seeing as most people here are hard pushed to use anything bigger than a 10m it was a showcase of light wind kitesurfing prowess and got me thinking of how good light wind board and kite skills can transform a frustrating session to one where boosting jumps, popping a powered trick or catching a wave, can still be possible. 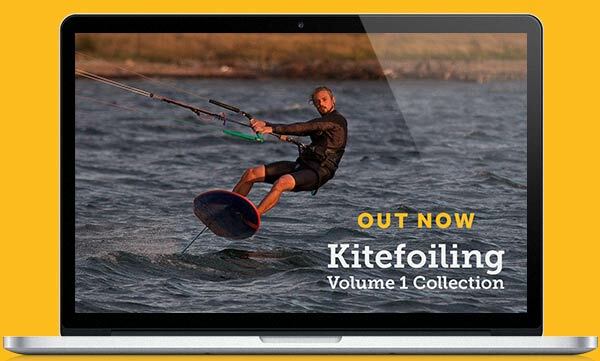 When we made the Intermediate Volume 1 DVD/Collection, adding light wind riding was a must. How many of us struggle when the wind gets light, blame the kit or the conditions and just assume we are doing everything right – only to see a kiter who is 10kg heavier and a 2m smaller kite go steaming upwind? Technique for light wind takes a little more thought than many might imagine but with just a few helpful pointers and a little practice you can transform your sessions. Here’s a small exert from the Lightwind section of the Location & Conditions chapter of the Intermediate Volume 1 Collection/DVD. Hopefully, it’s plain to see the differences in stance. 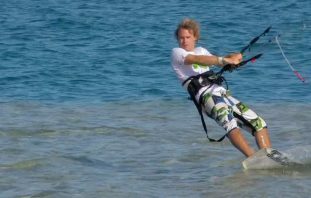 Lightwind riding is a real workout for your body, you can’t just hang off the kite, like in strong winds, you need to hold your body in the correct positions, balancing your weight against the kite. A great workout for your upper back and oblique muscles! There are two parts to consider – getting up and the board moving & then keeping yourself going (both of which we cover in details in the full video). But it’s actually more than that, we all want to stay upwind so rather than just getting loads of speed and shooting off downwind we need to get a little more technical! Do you know about apparent wind? This is a crucial part of getting the most out of light winds, its all a bit science-y but necessary! 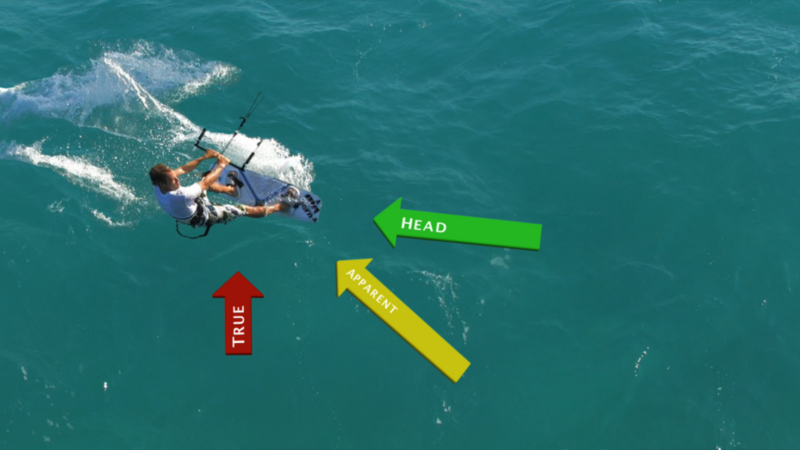 The underlying theory is that the wind that affects your kite is not actually the true wind but somewhere between the true wind and the head wind, that you generate as you move forwards. In strong winds, we don’t really notice or worry about apparent wind as the true wind is generally way faster than our head wind but in light winds, the impact can be huge. As you go faster, the apparent wind changes direction, forcing you to ride further downwind. So the short answer to this is that riding slower in light winds will get you upwind faster! If you want to understand this in more detail then check out the full Location & Conditions video – on the Progression Player App or Intermediate Volume 1 DVD. There we offer further technique tips for light wind riding along with strong wind technique & how to cope with waves.